Squashed Software (formerly Maza Digital) has released RAID Monitor 3, a new version of its tool for automatically checking the status of RAID storage system. The completely rewritten software features a new interface, adds support for the new AppleRAID card, provides modifiable alert messages, and lets you set the time for its daily status e-mails. The software is designed to alert you by e-mail whenever it finds a fault with your RAID. 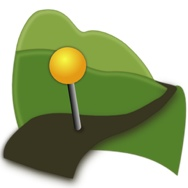 Calf Trail Software announced on Friday the release of version 1.4 of its geotagging utility, Geotagalog. The latest version of the software, which allows users to combine digital photos with location data, improves performance in the realms of speed and file handling. In addition, there’s better control for which files are imported into iPhoto—you can now select individual files as well as folders. , the newest update to Synium Software’s genealogy program, was released on Friday. The application now features an overhauled Virtual Tree, allowing users to navigate a three-dimensional map of their family data. In addition, version 5.6 has extended and improved its media management capabilities; for example you can select people in family pictures and assign them to people in your database. The program also now features enhanced bookmarks and the ability to edit images within the program.